We were deeply to saddened to learn that one of the boys' dormitories at Soit Sambu Secondary School was destroyed in a fire in 2015. The boys have had to move into a newly-opened dining hall; this is not only a poor living space, but now the rest of the student body has to eat meals outside. 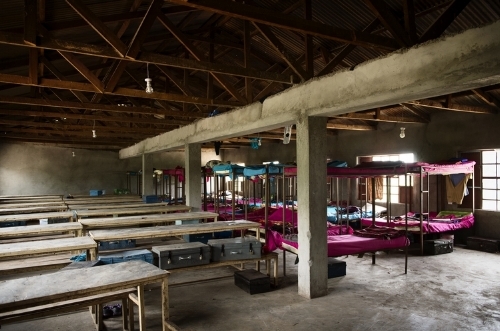 We are planning to build and furnish a new boys' dormitory for Soit Sambu in 2016. Set on a vast plain in Loliondo, Sukenya Primary School serves an increasing number of Maasai children in the greater Sukenya area. 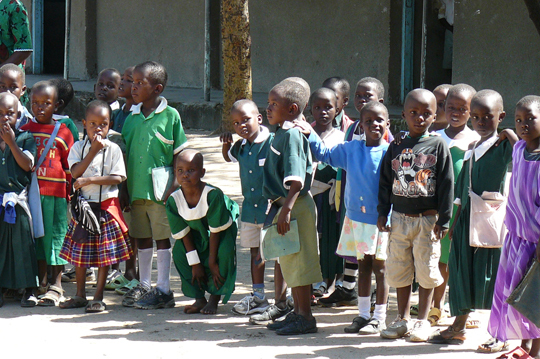 Before we built our first 2-in-1 teachers' house at Sukenya in 2010, the school only had four teachers for 364 students. After building our first 2-in-1 teachers’ house, the school was able to increase those numbers to eight teachers for 400 students, which still fell short of what they required. In 2016 we completed construction on our second 2-in-1 teachers’ house, giving the school adequate staff housing to meet a growing need. Sitting on the western edge of the Serengeti, Robanda recently opened a secondary school with boarding facilities for girls. Before, girls from Robanda attend school 45km away in Mugumu. The school in Mugumu does not have dormitories, so many of the girls stay in hostels and end up dropping out or getting pregnant. The community started construction on a secondary school in 2011, and we helped them open their doors in early 2017. The Soit Sambu Secondary School itself is remarkable. The students are welcoming, outgoing, and well-spoken, which is always a surprise when English is their second or third language. Seventeen of the Form Four graduates last year have continued onto high school which is excellent. Second, the headmaster is one of the best we've encountered in many years; he is energetic, motivated, and cares deeply about his students' welfare and education. He uses his seemingly endless energy to raise funds for Soit Sambu Secondary - the school received an award from the Tanzanian government as the most improved school in academics and infrastructure in 2015. The construction is finished, and we are excited for the students to be moved in and enjoying the new space. Orkiu Primary School is set up on a windswept hill at almost 8,000 feet elevation. When we first visited Orkiu, they requested a teachers' house so they could have enough teachers for their rapidly growing student body. The second time we visited, the student body had grown so much that they only had half of the classrooms that they needed; half of the students sat outside in the cold while the other half were in class. The community finished two classrooms that they had started building, and we completed construction on two classrooms in 2015, so the school now has six classrooms! Oloipiri Primary School opened in 1978 with just 23 students; today the school has over 500 students in just six classrooms, most of which are in poor condition. The local community contributed funds to build classrooms and teachers' housing at the school, but due to recent droughts they were unable to complete the projects as planned. The school was also short of teachers - they had only nine for their entire student body - they requested that FoTZC build a 2-in-1 teachers' house. We finished the construction of a 2-in-1 teachers' house at Oloipiri in 2015. In 2006, a small group of Maasai women came together and decided to form a women's collaborative, to enable them to sell their beadwork to Thomson Safaris guests. What started with about 20 women has rapidly grown into a group of 180 women who make intricate, brightly colored beaded jewelry. Over the last few years, we have funded a few installations of beading and business seminars in which the women learn basic business skills alongside learning new beading techniques and patterns. With 180 women selling jewelry, the market for beadwork is pretty well-saturated, so we have launched a new conservation-minded microfinance project called COCOBA, which will help Maasai women start environmentally-friendly businesses. In 2001, Thomson Safaris took a number of families to visit Nainokanoka Primary School. The visitors taught impromptu lessons and became deeply attached to the school and its mission of spreading education to uplift Maasai communities. FoTZC contributed funds to rehabilitate classrooms and, a few years later, constructed two additional classrooms. Nainokanoka is very remote, and they needed to provide housing before the government would assign new teachers to the school, so in 2012, we built a 2-in-1 teachers’ house at Nainokanoka. The dedication ceremony for the teachers' housing was one of the most well-attended we've been to - the community is very dedicated to this school!